The BuytoLet Loan Directory is the fourth feature publishing competitive and innovative product offerings to help clients identify appropriate funding facilities. In this publication we provide a selection showing the most competitive and commonly used rates on offer depending on the Loan to Value or deposit available in respect of BuytoLet Mortgages. Brooklands is a whole of market broker with access to semi-exclusive arrangements with various lenders. Funding is available for all types of residential property including HMO’S, Multi-Unit Properties, Limited Companies and Holiday Lets. The terms shown are available for both purchase and re-mortgage. 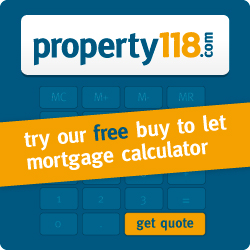 For a full comprehensive search of products available and the amounts you can borrow please click on the free Property118 BuytoLet mortgage calculator .